Continue fertilizer blender based on volumatric metering. Manual speed adjustable discharge conveyors. 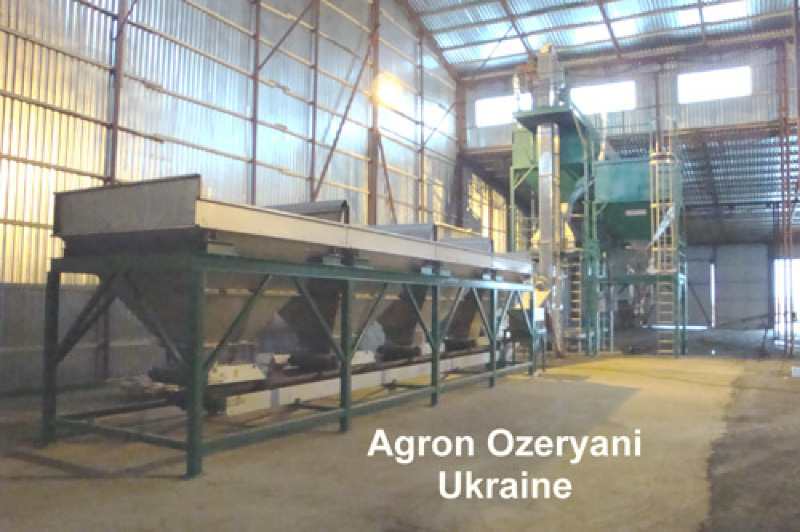 The Volcont continuous blender is suitable for powder and granular fertilizer production. The machine processes all raw materials into an excellent blend. The blending process is volumetric. The Volcont blender consists out of two or more stainless steel hoppers. The operator commands and controls the entire continuous volumetric blending process, by means of a variable speed system. 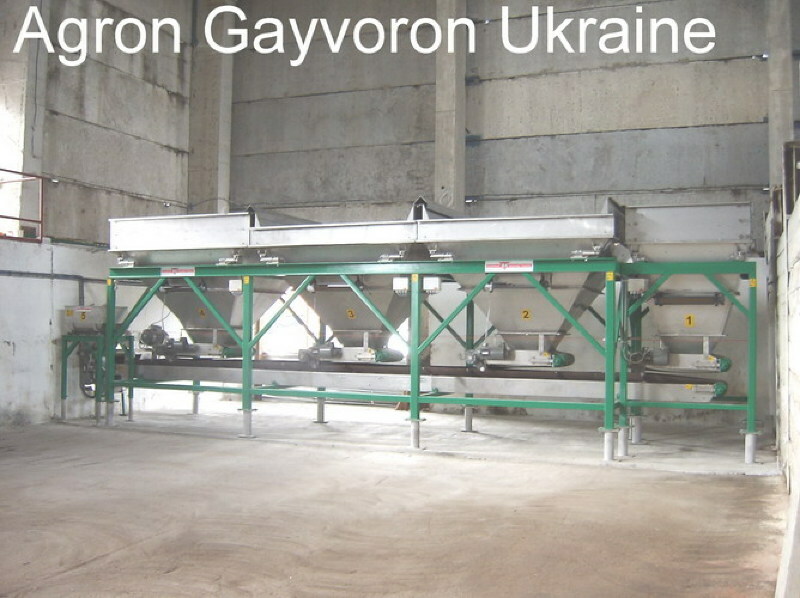 The raw materials are metered by stainless steel metering conveyors. Adjustment of the drive system is done on the electrical panel. This guarantees a continuous flow of materials through the conveyor at the rate required. 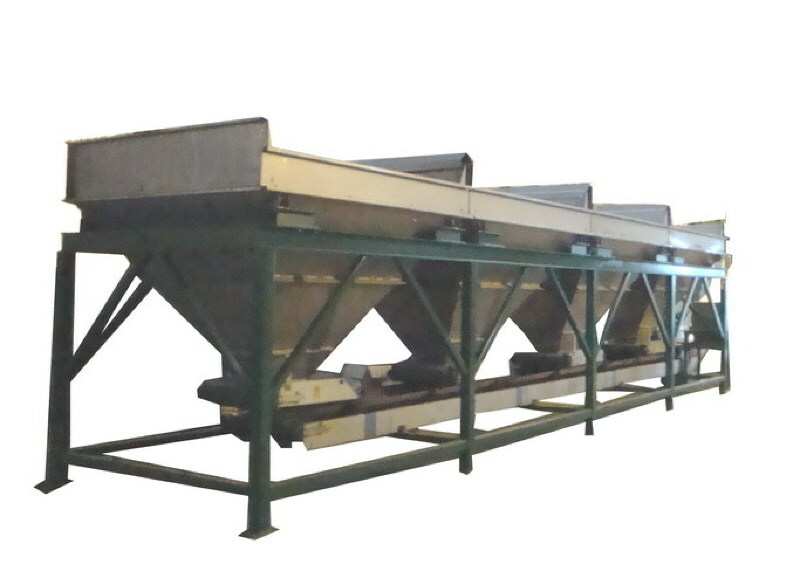 The metering conveyor discharges the materials to a central transport conveyor. The hoppers have open tops with a lump catch grid and can be filled with a loader or a forklift. The whole machine can be operated from the electrical panel. 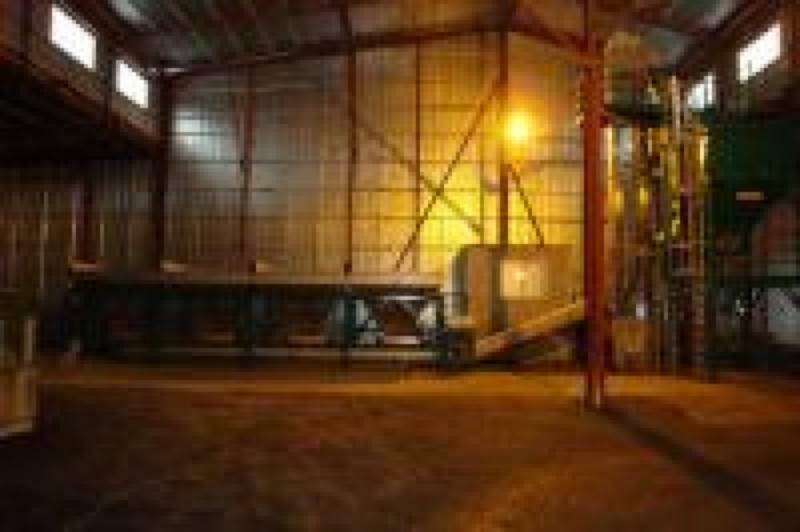 This gives the operator control on the quality of the blending materials, by changing the hopper belt speed and blend time. 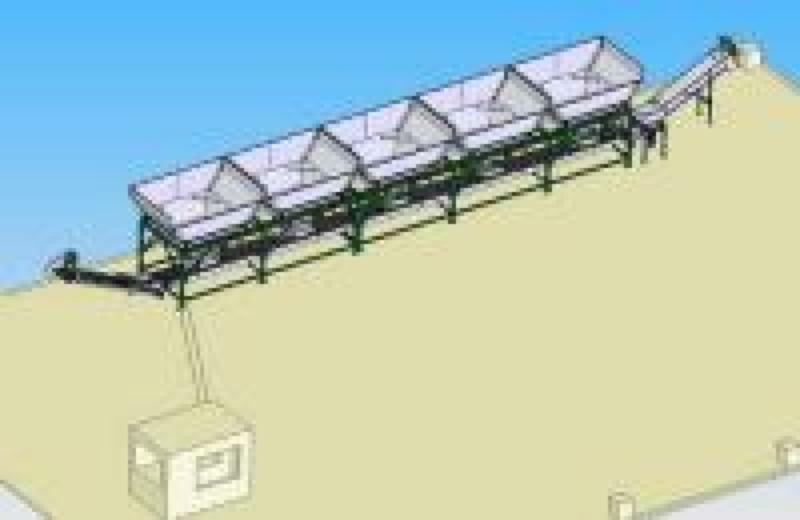 While blending, the hoppers will discharge the product simultaneously, meaning all materials will be transported to the central transport conveyor at the same time. 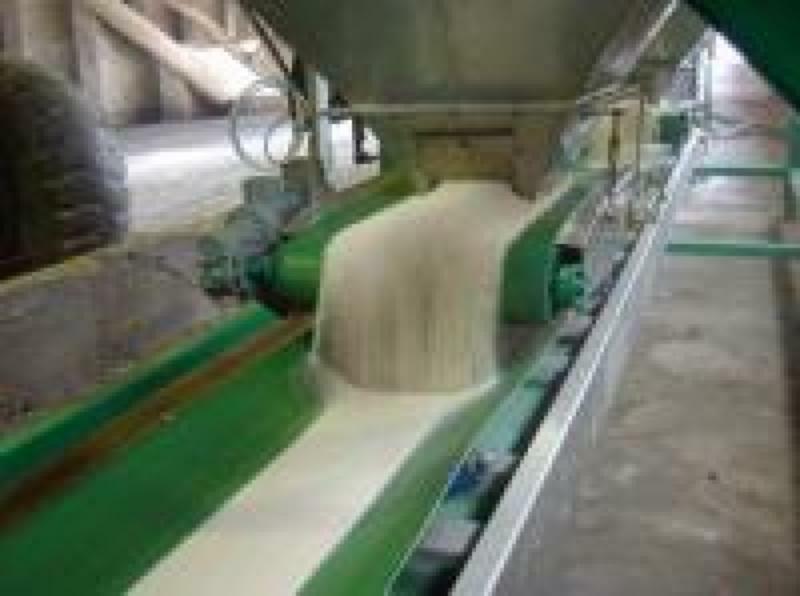 If necessary, an extra blend auger can be installed, on which the central belt conveyor discharges the material. 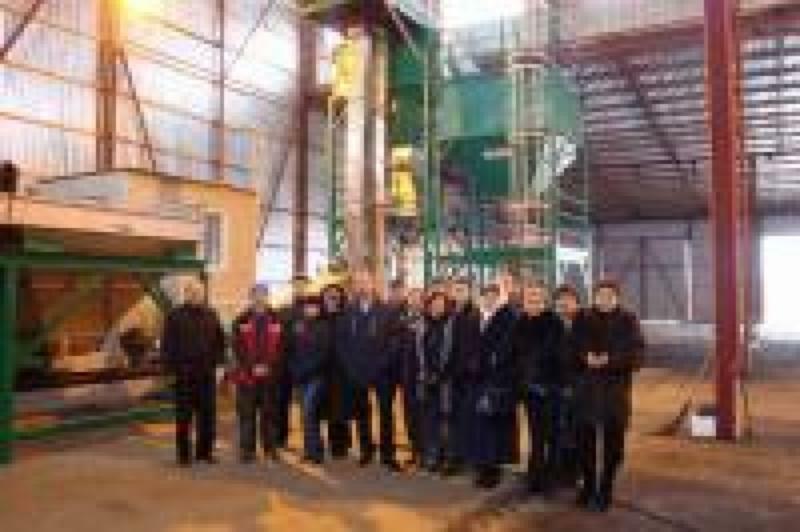 The machine can be produced with an unlimited number of hoppers with a capacity from 4 to 12 ton per hopper. Because of the volumetric material flow, the operator needs to calibrate the material, so the necessary speed can be adjusted according the calibration figures.